The way Brenda Holloway stunningly filled a skintight gold pantsuit certainly caught Berry Gordy’s eye the first time they crossed paths, but her seductive pipes were ultimately the reason she was Motown’s first notable Los Angeles discovery in 1964. If ever there was a born star, it was surely the statuesque Holloway, but the geographical divide between L.A. and Detroit may have worked her against her within the Hitsville hierarchy. Nonetheless, she waxed some of the most seductive soul in the entire Motown catalog, scoring several major hits along the way. “I listened to a lady by the name of Sarah Vaughan,” says Holloway, who also lists Dinah Washington, Aretha Franklin, Dionne Warwick, and Mary Wells as influences. When she was only 12, Patrice made her first 45, a dance number called “Do The Del-Viking,” produced for the tiny Taste label by Hal Davis. Brenda, who sang with Whispers founders Walter and Wallace Scott in high school, didn’t have to wait long to cut her solo debut. Record shop owner (and 2013 Ponderosa Stomp co-star) Kent Harris, who made a pair of raucous 1956 singles for Crest as Boogaloo and His Gallant Crew, helped bring Holloway to Del-Fi Records boss Bob Keane’s attention. Keane, who had previously discovered Ritchie Valens, cut Brenda’s “Echo” for his Donna label in 1962, and was so enraptured that he tried twice more to break the fetching ballad under the titles “Echo-Echo-Echo” and then “More Echo.” It didn’t work. 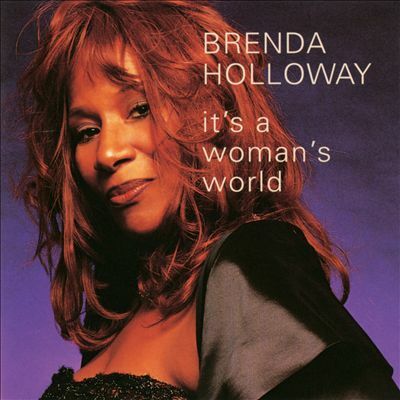 Holloway was also a member of the Wattesians, whose bouncy girl group confection “I’ll Find Myself A Guy” came out on Donna the same year. Hal Davis, a Cincinnati émigré soon to become Motown’s L.A. head (he would become known on the Coast as “Mr. Motown”), was instrumental in their formation. “Hal had put the group together with me, Priscilla Kennedy, Pat Hunt, and a girl named Barbara,” said Brenda. “That’s how it really actually started, doing background with my group, the Wattesians.” As a prelude to their many Motown collaborations, Davis and Holloway cut “It’s You” b/w “Unless I Have You” as Hal & Brenda for Minasa in 1963. That same year, Brenda cut a solo “I Ain’t Gonna Take You Back” for Catch. “Hal lived in the studio. Hal ate breakfast, dinner, lunch — they should have had a shower there for him,” said Holloway. “He was a fabulous producer. Hal, he made up for all of his shortcomings and all of his problems in his music. He had polio. His mother used to take him around, and didn’t get his injections, and she’d take him around singing in churches and stuff. She just didn’t have enough education. I don’t even know if the vaccine had been perfected then. But Hal caught polio, so he had a shoe that was really big. 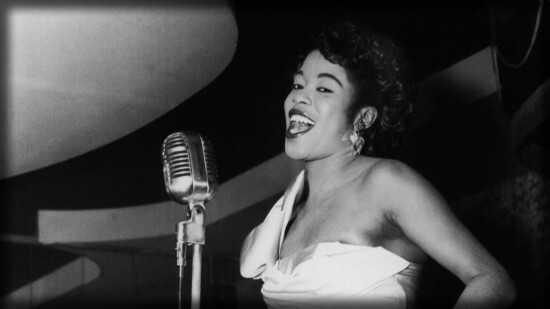 An introduction to Berry Gordy was Holloway’s primary goal when she and manager Davis attended a deejay convention at the Cocoanut Grove nitery in L.A.’s Ambassador Hotel. She dolled herself up in an eye-popping ensemble guaranteed to quicken attendees’ pulses. “It was actually a gold lamé pants set,” she said. 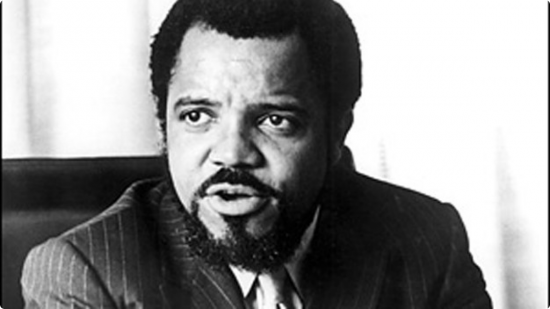 “‘(Hal) told me, ‘I can get you an interview with Berry Gordy.’ I said, ‘No, you can’t!’ He said, ‘Yes, I can! I have a friend that’s going to be coming down. His name is Jack, and he’s with Berry. I want you to come go with me on Saturday, and you can sing!’ They had a lot of different suites and a lot of different people, and a lot of other disc jockeys. “Then I started singing a song called ‘My Guy’ ‘cause I didn’t have any songs of my own. I loved Mary Wells, and she was Miss Motown right from the beginning, so I kept going from room to room and meeting different people, and singing ‘My Guy,’” said Brenda. “We were there from about 10 o’clock in the morning. It was really early. I kept on singing until about one or two o’clock. I was like, ‘Oh, Hal, this is ridiculous! I’m tired!’ ‘Cause I had on high heels, and I’m only 16 years old. I was trying to look grown and look cute and all that, but I was getting tired. In a minute this group of men had came in the room. Rather than fly her back to Hitsville, Hal and his production partner Marc Gordon helmed Brenda’s first 45 for Berry’s Tamla imprint, the stately uptown soul masterpiece “Every Little Bit Hurts,” in Los Angeles. “Every Little Bit Hurts” was done at engineer Armin Steiner’s facility, which happened to be located in his Hollywood garage. “Upstairs, he had converted it to a recording studio,” said the late Wilson. “Every Little Bit Hurts” bounded all the way up to #13 on Billboard’s pop charts in the spring of 1964, and Holloway was suddenly a star. But there was a tragic footnote. “Shortly after Barbara did the demo,” said Brenda, “she died.” Brenda wrote its charming flip side, “Land Of A Thousand Boys,” with her sister Patrice. “Now you know why I wrote that one — I was looking for a perfect man!” she laughed. Cobb, formerly of the well-scrubbed Four Preps (they crashed the pop charts in 1958 with “26 Miles [Santa Catalina]” and “Big Man”), penned another sublime ballad for Brenda’s Tamla encore. Davis and Gordon produced “I’ll Always Love You,” which charted pop that summer on a smaller scale. “That song would have been another big hit for me. But because they were trying to establish my sister group, the Supremes, our cells were conflicting. They wanted theirs to go to a million,” said Brenda. “They pulled my song back in for a minute, and then when they put it back out, it didn’t gather the momentum. 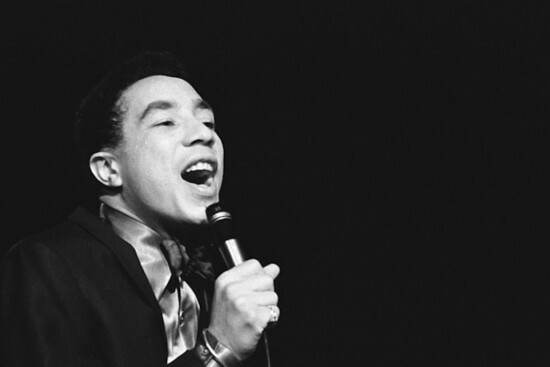 Smokey Robinson, triple-threat singer, songwriter, and producer. Brenda inherited a few goodies left in the can when Wells defected on her 21st birthday. She also inherited Mary’s producer, Smokey Robinson, who produced her sultry mid-tempo “When I’m Gone” in Detroit. “He let me hear Mary Wells’ version,” said Brenda, who was sorry to see her one of her favorite singers exit. “I was sad, but I was happy that I got a chance to sing that song. ‘Cause everybody wanted a song from William Robinson.” Holloway and the Hitsville crew meshed seamlessly, and “When I’m Gone” became a solid hit in early ‘65. After that, her momentum sagged. Berry’s “You Can Cry On My Shoulder” never made it past “bubbling under” status in the fall, and Wilson’s “Together ‘Til The End Of Time,” a ballad reuniting her with her boyfriend Davis and Gordon as producers, did no better in early ‘66. 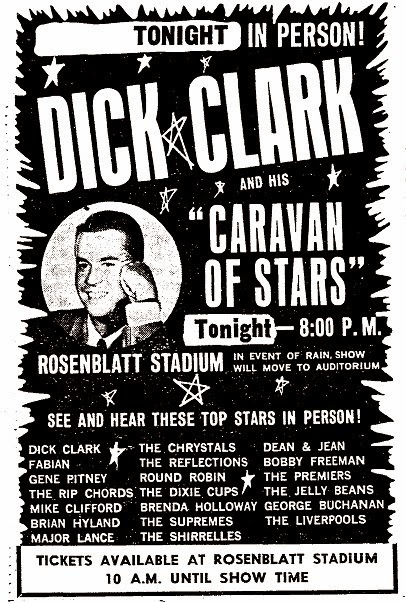 Mickey Stevenson and Hank Cosby took over for a dramatic “Hurt A Little Everyday” later that summer (“Where Were You,” an up-tempo ditty from the Lewis Sisters, occupied the B). A second proposed album, “Hurtin’ & Cryin’,” was canceled. But Wilson reinvigorated his friend’s chart fortunes in 1967 with the pounding “Just Look What You’ve Done For Me,” a collaboration with R. Dean Taylor that just missed the R&B Top 20 that spring. “I wrote that for her before Berry asked me to move to Detroit. I didn’t cut it until I got to Detroit,” he said (it was paired with the Ashford & Simpson-penned rouser “Starting The Hurt All Over Again”). “I was so comfortable in his lyrics and his melodies. It was like a part of me. Frank’s songs were a part of me. Smokey’s songs I studied,” she said. “But on Frank’s I could be me, ‘cause all the licks and all the curves and all the words and all the feelings, they were tailor-made, like Mary’s songs were written by Smokey,” she said. “Berry was giving me a few pointers on the tense of a song said Brenda — like present tense. Your songs always have to come from the present tense,” said Brenda. “Then my boyfriend quit me. I said, ‘I’m so sad. You know what? I’m gonna write a song about being happy, ‘cause this man is crazy! Leaving me?’ I said, ‘I’ll show him,’ like the new guy came into my life after this piece of trash left, and I was watching him leave! “I said, ‘Patrice, come here and help me. This is a hit!’” Soon Brenda and Patrice (who cut an unissued “For The Love Of Mike” for Motown) had the song worked out. “I got on the phone and said, ‘Berry, I think I’ve got a hit! Berry, come on and listen to it!’ He listened to it, I played it. He said, ‘I think you got a hit. I’ll be right over.’” Wilson handled the bridge. “That made the song!” she said. 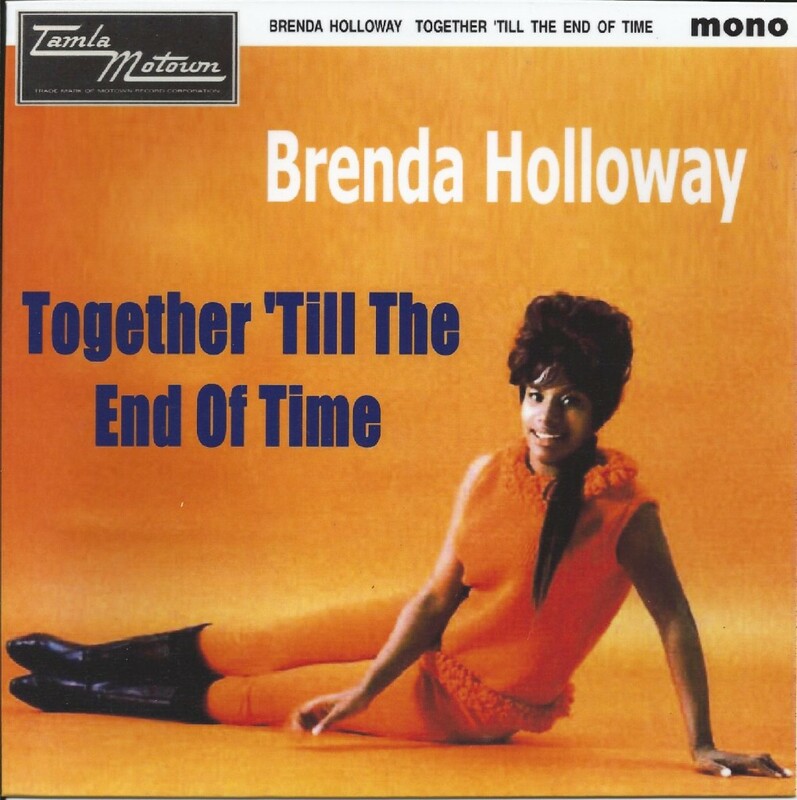 It would be Brenda’s last Motown release. She wrote a letter to Gordy confiding her suspicions that she was being discriminated against when it came to top material, grooming, TV opportunities, and management. The 21-year-old star bemoaned what she considered second-tier treatment because she hailed from the West Coast, though her postscript “I will always LOVE Motown and you!” suggested this was much less than an ultimatum. “For me to go to Motown and not get the immediate attention that I really needed to do my craft and my artistry, it just really, really staggered me. And I was just very, very unhappy because I was getting lost in the shuffle too many times. So I expressed that to Berry. He was getting ready to do something, but I just got so frustrated. So frustrated until — so you know I was crazy — I was in the middle of a session with Smokey — and left. I snuck out of the studio, got in a cab, and came back to Los Angeles. Brenda’s secular pursuits contrast with her sanctified activities as a member of Blinky Williams’ Hollywood Choir. “I’m doing fine. I’m happy, I’m secure, I’m still singing,” she reported. And she still looks great in gold. Don’t miss Brenda Holloway at the 2015 Ponderosa Stomp in October, where she’ll be singing as part of a soul-diva revue featuring Irma Thomas, Barbara Lynn, and Mable John. Buy your tickets here!